In Kenitra, environmental preservation is not only a slogan but a tangible reality. This ecological awareness was illustrated by the organization, on 28-30 March 2019, of an international conference on “The protection and enhancement of wetlands with a territorial co-development approach“. The event was organized by the Ibn Tofaïl University of Kenitra in collaboration with the province, the Scientific Institute of Rabat and the Association La goutte d’Ô (France). At the opening session, Mr. Abdeladim Lhafi, High Commissioner for Water, Forests and the Fight against Desertification, said that humanity is on the brink of destruction, stressing that the planet will live on credit from next July onwards. He also stated that “The whole world shares this observation, except those who are in denial of scientific facts. The efforts we need to make are enormous and must be immediate, while the results that will arise from them will benefit the future generations,”. He added: “Solidarity is not an automatic act that is born in an economy of survival and sustainable development, but it is a social construct that must be nurtured with the consent of everyone. And that’s where the difficulty lies”. For his part, Mr. Fouad M’hamdi, Governor of Kenitra Province, stressed that the issue of wetland protection and enhancement is of paramount importance. He recalled Morocco’s signature in 1980 of the Ramsar Convention, which aims to develop strategies and management plans for the preservation of these wetlands to guarantee their sustainability and above all to fulfil their ecological functions. In turn, Mr. Claude Barral, President of the Syndicat du bassin de l’Or and Vice-President of the Council County of Héraut, point out that wetlands and coastlines around the world are subject to strong economic, demographic and urban development pressures. He stressed the need to develop and implement common strategies to safeguard the environment and biodiversity and noted that “Wetland management depends on the involvement of citizens and all stakeholders, and it is a good exercise of local democracy”. 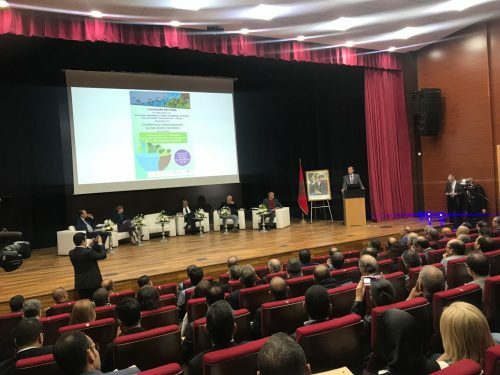 The World Water Council (WWC), invited to the Kenitra Conference, testified the strong commitment of the Kingdom of Morocco to water challenges and climate change issues. The meeting provided an opportunity to introduce to the participants the WWC, its structure, governance and its three main areas of activity: hydropolitics, emerging challenges and the World Water Forum. 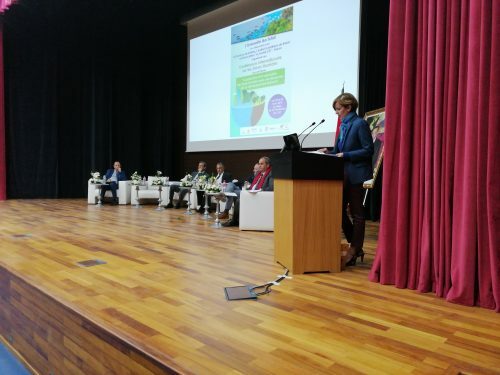 Referring to the Kenitra Conference, Ms Delphine Miquel confirmed the WWC’s commitment to the preservation of wetlands, emphasizing that biodiversity constitutes an example of resilience and a key to adaptation to the effects of climate change. With reference to the next World Water Forum to take place in Senegal in March 2021, for the first time Sub-Saharan Africa, it will focus on «Water Security for Peace and Development”, as well as in four priority areas: Water Security; Cooperation; Water and Rural Development; and Means and tools. Mr. Azzedine Midaoui, President of Ibn Tofail University, highlighted the great ecological potential of Kenitra, which is located in the Kingdom’s richest region in terms of natural heritage and wetlands. He highlighted the enormous efforts made by this university institution in the ecological field, commending the commitment of all the University’s components in the process of preserving the environment. He also paid a vibrant tribute to the students who contribute efficiently to the cleanliness and preservation of the green and ecological character of the university campus. The international conference on wetlands adopted the Kenitra Declaration in order to define the areas and modalities in which the partners intend to continue their cooperation in the frame of the international network “ALZYMA” set up for this purpose, as part of the contribution to achieve the Sustainable Development Goals. ALZYMA is an ancient boat from Mesopotamia (3000 to 4000 years BC). The symbol of this boat for the Network represents the link, exchanges and partnership that will be established between the members around the issue of wetland conservation. This Network, in its principles and functionalities, will work in concert with other high-performance, recognized and already structured networks, such as the Mediterranean Wetlands Initiative (MedWet). This article was translated with some modifications from an article in French published in Le Matin newspaper.